Some people brush their pale teeth several times a day, but still fail to turn them white. There are many reasons behind yellow teeth such as food and beverages like coffee and tea. To get a sparkling smile, you neither need to visit the dentist nor avoid the food totally. The best and least expensive way to get white teeth is to prepare your own teeth whitener at home. Try the following easy DIYs and get pearl white teeth without burning a hole in your pocket. Baking soda’s abrasive nature removes the stains and plaque from your teeth and balances the pH level. On the other hand, citric acid in the lemon unlocks the calcium present in the enamel. To make a paste, just mix baking soda and lemon juice to it. Apply it to your teeth with the help of a cotton swab or q-tip. Strawberries are rich in vitamin C and malic acid which help break down the plaque and remove stains, respectively. For making this scrub, all you need to do is add sea salt and baking soda to mashed strawberries. Brush your teeth with this scrub once a week to make your teeth white. 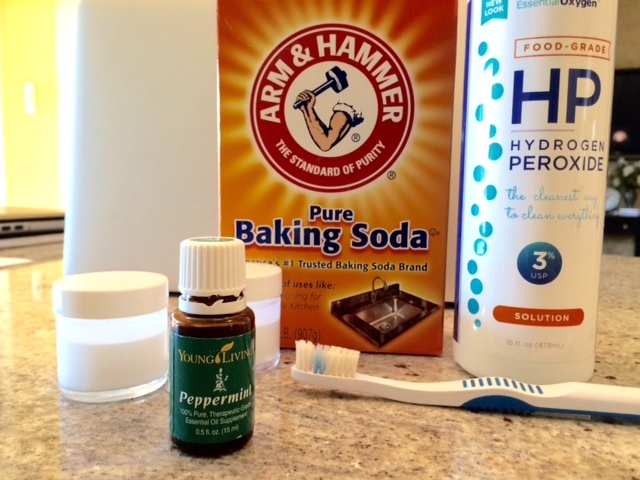 Mix peppermint essential oil, baking soda, and coconut oil. Combine this mixture with hydrogen peroxide just before brushing. Rub it on your teeth for at least 2 minutes and then rinse. 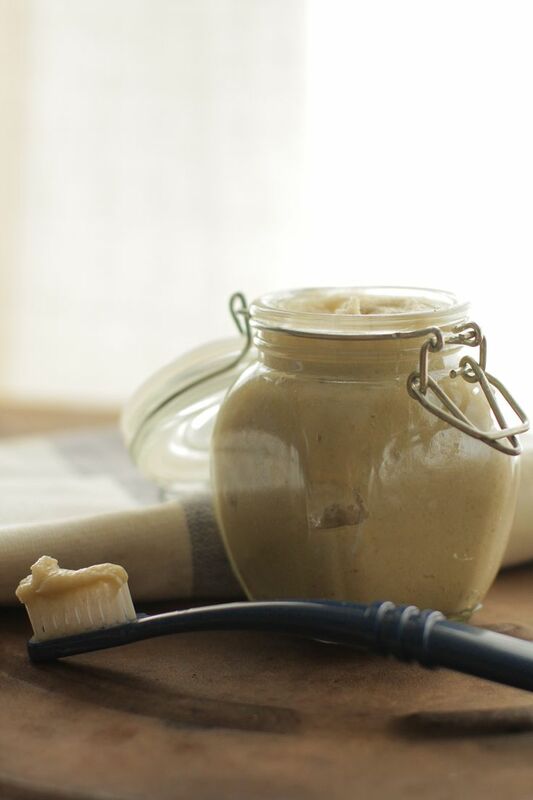 This easy-to-use and easy-to-make recipe is the best to give touch-up to your teeth. Turmeric has astringent and medicinal properties, while coconut oil is supposed to promote gum health as it is rich in lauric acid which helps kill bacteria. To make a paste, mix turmeric powder, coconut oil, and baking soda. Brush your teeth with this paste. Basil leaves cure the bad breath and maintain the gum health. On the other hand, orange peel makes them whiter. 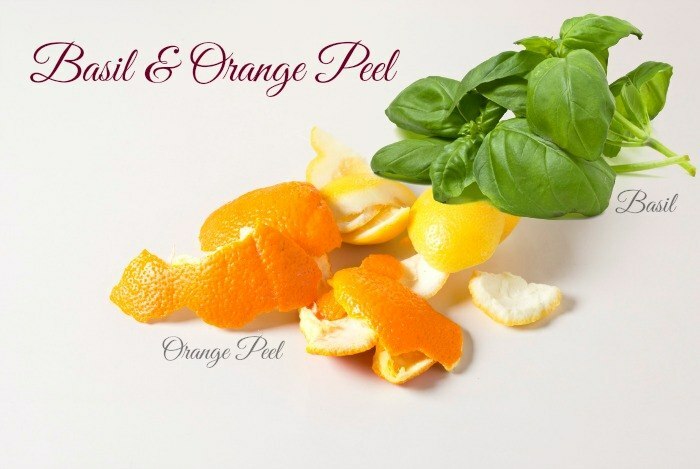 Take basil leaves and powder of dried orange peel. Crush them together and make a fine paste. Apply this paste on your teeth. Leave for 15-20 minutes. Wash off with water afterwards. Plaque formation makes your teeth yellow. This DIY helps remove plaque and hence, turns your teeth white. 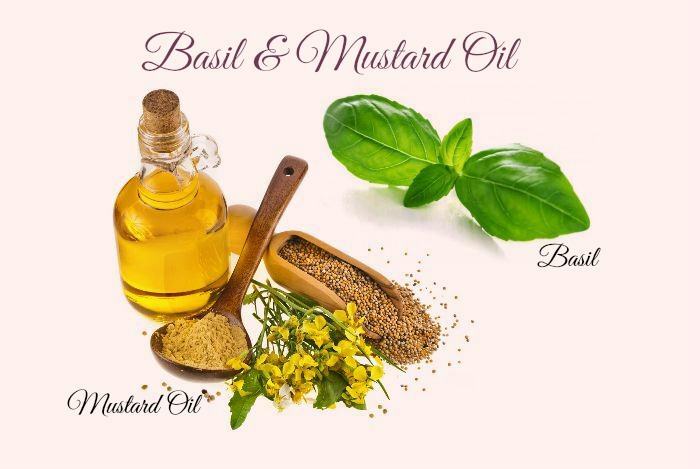 Just take basil leaves and mustard oil. Crush the leaves using a blender and mix oil to it to form a paste-like consistency. Use this mixture in the same way as you use your toothpaste. 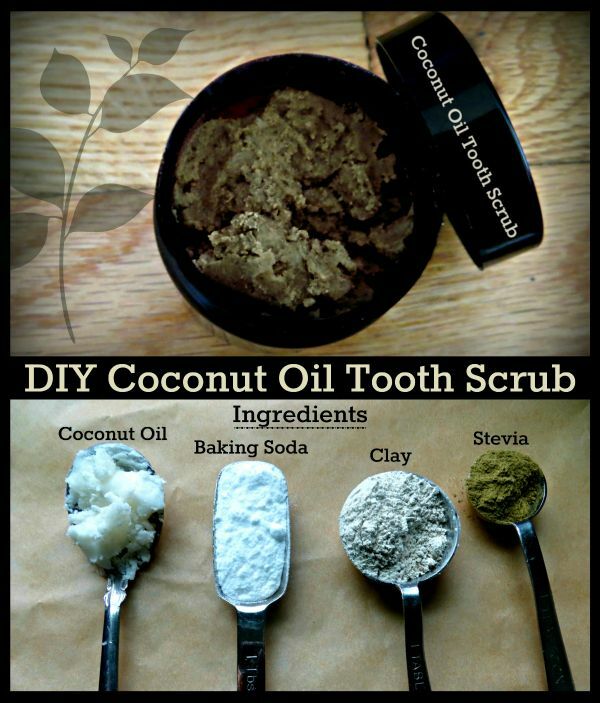 For preparing this toothpaste, you’ll need baking soda, coconut oil, salt, bentonite clay, peppermint oil, pure stevia. First of all, mix baking soda and coconut oil. Make sure that there are no lumps. Mix other ingredients in it thoroughly and the paste is ready. Store it in an airtight container. This is one of the best toothpaste that you can make at home. This toothpaste is free from all the chemicals and contains only natural ingredients. All you need is peppermint oil, sea salt, bentonite clay, cloves, activated charcoal, coconut oil, water and liquid stevia. Mix all the ingredients properly using a wooden spatula and make it sure that the texture is smooth and free of clusters. Store it in a container and use it every day. For making this scrub, you’ll need whipped coconut oil, bentonite clay, baking soda, peppermint oil, and natural green stevia. With the help of a blender, mix all the ingredients. The scrub is ready in just a few minutes. 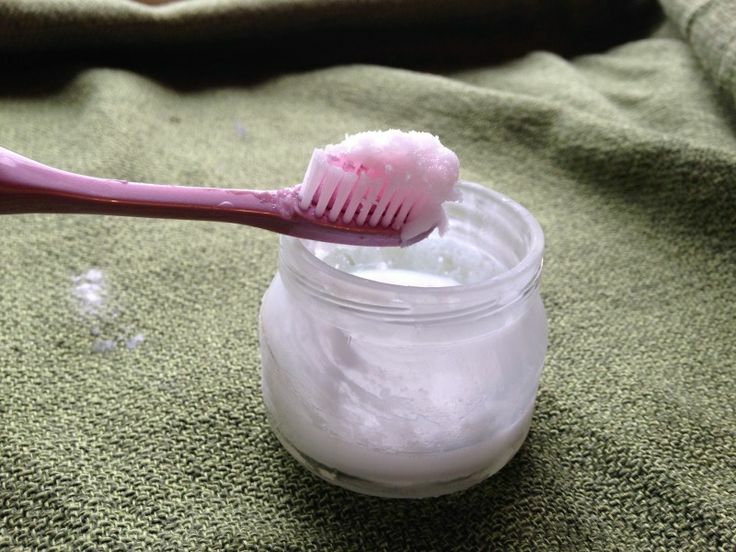 Use this scrub in place of your regular toothpaste. Turmeric, a rhizome, is a herb known for proven anti-inflammatory, antimicrobial, hepatoprotective, immunostimulant, antiseptic, antioxidant, and numerous other properties (1). Coconut oil, on the other hand, has been used for ages in plaque related gingivitis which is now a proven remedy as the studies suggest (2). Like coconut oil, some essential oils also show a positive effect on the plaque (3). The essential oils that can be used in this remedy are spearmint essential oil, peppermint essential oil, myrrh essential oil, clove leaf essential oil, clove bud essential oil, cinnamon leaf essential oil. So, each of the ingredients in this method of teeth whitening has diversified effects in various dental and oral problems. Just mix melted virgin coconut oil, turmeric powder, and any of the mentioned essential oil to make the tablets. Use one to three chews every morning before brushing your teeth, eating or drinking something, to swish. Spit the oil into the garbage when you are done. Note: Make sure that you don’t swallow it. Several studies have already been conducted to know the effect of charcoal on teeth. Activated charcoal works by changing the potential of hydrogen and improves the condition by whitening the teeth and improving mouth health (4). Baking soda is a naturally occurring substance, which acts as a cleansing agent because of its alkali nature(5). 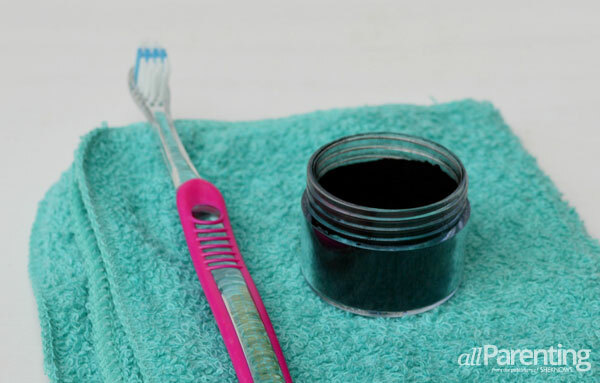 For this recipe, mix coconut oil, baking soda, activated charcoal, and form a paste. Take a pea-size amount of this on your toothbrush and brush daily. Note: Don’t use baking soda if you have really sensitive teeth. Hydrogen peroxide has been used for bleaching/ teeth whitening, both professionally and in self-administered remedies. It is a form of carbamide peroxide which is now proven to be safe for teeth. Bleaching with this agent does not produce any changes in the micro-hardness or ultrastructure of the teeth (6). Peppermint essential oil not only gives a good breath but, but also acts as an effective intracanal antiseptic solution against oral pathogens (7). For making toothpaste from these products, mix coconut oil, baking soda, peppermint oil, and hydrogen peroxide properly and brush for 2 minutes before rinsing. Alternate: You can omit coconut oil if you want. 1) Hydrogen peroxide should not be administered to the patients with soft or damaged tissue and should not be used without gingival protection (8). 2) Don’t use it more than thrice a week. This homemade powder is prepared from bentonite clay, charcoal, baking soda, cinnamon, xylitol, and essential oils. Many have not heard of an important substance called xylitol, a naturally occurring sugar substitute. Xylitol prevents dental decay as it is a sugar alcohol that is not fermented by bacteria. It also neutralizes plaque acid, by increasing the concentration of ammonia and basic ammonia acid(9). Essential oils (optional) used for antibacterial purposes, help provide a good flavor and smell to the tooth powder. Baking soda and activated charcoal also have diversified effect in preventing dental problems. Lastly, cinnamon has been used for decades to treat a toothache, tooth decay, and other dental problems(10). Mix all the ingredients thoroughly and dip your damp toothbrush in it while brushing. You can prepare another remineralizing and whitening tooth powder using kaolin clay, bentonite clay, activated charcoal, calcium magnesium powder, peppermint or tangerine essential oils, and coconut oil (organic and unrefined). Essential oils act as antiseptic solutions against oral pathogens as the studies suggest(11). Kaolin and bentonite clay also have a positive effect on teeth. Calcium and magnesium powder helps contribute to the makeup of teeth(12). Mix all of them thoroughly and if required add coconut oil to give it a paste-like consistency. Brush normally with the prepared mix daily. Mix hydrogen peroxide, baking soda and peppermint oil thoroughly and take a small amount of it on your toothbrush whenever you brush. Use it up to two times a week to naturally whiten your teeth. 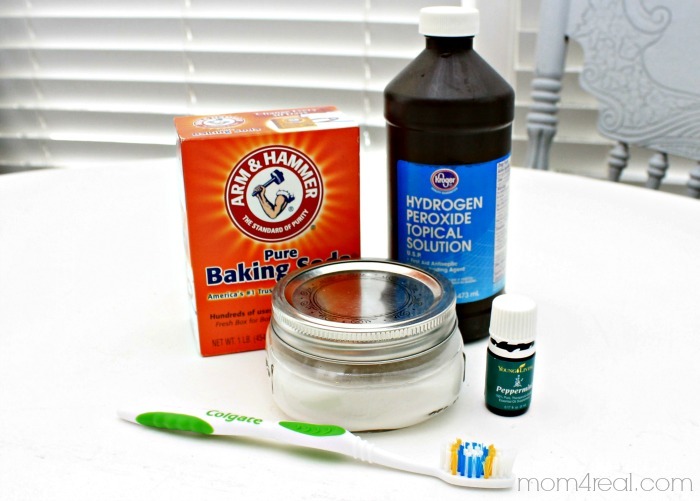 If you prefer toothpaste over tooth powder, then make your very own and natural teeth whitening toothpaste by mixing baking soda, glycerin, and peppermint oil. 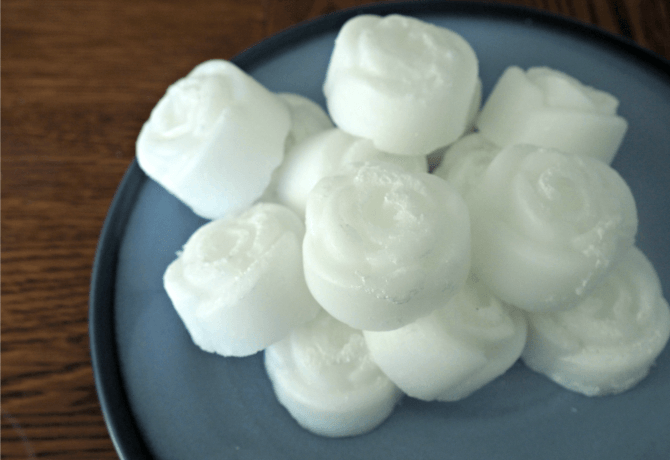 Glycerin in the recipe will give it a paste-like consistency while peppermint oil will help give you a fresh breath. Brush for at least 2 or 3 minutes, daily. Apple Cider vinegar has lots of health benefits and has been used widely since ages. Our teeth generally become yellow due to the acid present in several food items. ACV prevents the damage caused by acid and helps to keep them white (13). It also kills the bacteria in our mouth that causes tooth decay. Mix it with baking soda, and use it several times a week to brush your teeth. Several studies have already been conducted for the effect of turmeric on various health related problems and numerous diseases. It is now proven that turmeric is helpful in teeth and oral problems such as plaque and gingivitis prevention(14). Coconut oil and peppermint oil have lots of properties that are useful for removing stains from teeth and therefore makes them look white. So, to make a paste from these ingredients, mix them properly and use it to brush your teeth. Use it regularly, until you observe the satisfactory result. 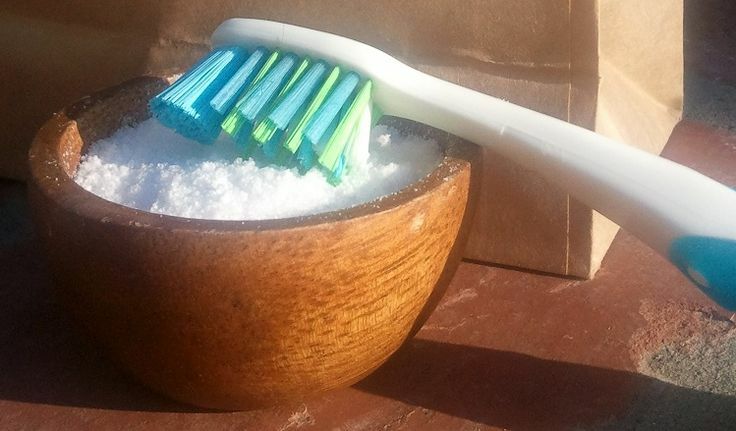 Calcium carbonate is used in most of the store bought tooth paste because it helps remove tough stains from teeth(15) so, here we are using it as a main ingredient. Other ingredients for this tooth whitening paste are xylitol powder, MCT oil, and any essential oil (optional). Mix them properly until a thick paste-like consistency is obtained. Brush your teeth with this mixture and store the remaining in any container or jar. It’s true that brushing teeth several times a day is unnecessary, and more than three times a day is overdone. Combining brushing with these teeth whitener would be a better idea to have the white teeth. I will try one of these recipes. Thank you for sharing such a good article…. I think this will be help to those who are suffering from teeth whitening issues like me.. very good.. THANK YOU SO MUCH! My teeth were a yellow tinted color and no matter what i did it was like that. Now i used some of these hacks and i got pearly white teeth! I have already recommended this site and now all my friends have white shiny teeth. Thank you so much!